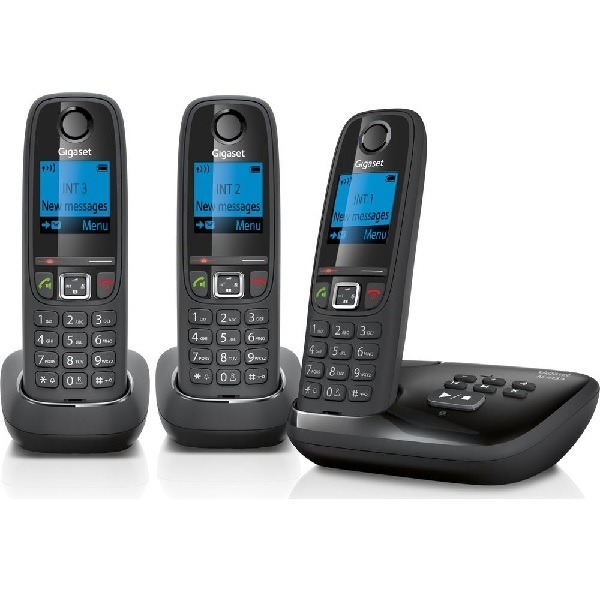 The Gigaset AL415A digital cordless phone offers some great useful features, one of the main features on this phone is Nuisance Call Blocking. Nusiance call blocking will aid you to get rid of those unwanted calls, you can control this with anonymous call silencing, time controlled call silencing and black list functionality. The phone its self is a good looking phone with its black finish and cool blue backlit screen. 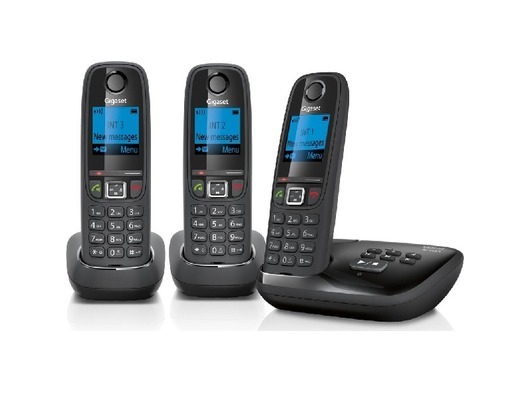 You have ample storage for numbers on this phone as the Gigaset AL415A has 100 Name and Number memory which allows easy access to numbers with a few click of the buttons. As we are so busy all the time you can multi task when at home thanks to the loudspeaker which gives you the freedom to carry on at home without having to hold the handset up to your ear. Don't worry if you're out the home for the day, the Gigaset AL415A has a 20 minute recording time which is more than enough space to record those all important messages when you cant get to the phone or are out of the house. For those who like to talk you can talk all day on the phone as the AL415A has a talk time of around 18 hours (depending on battery life) so you can keep on chatting. *You must subscribe to a Caller Display service from your network provider for the nuisance call block feature to work. Charges may apply.